Bombshell! 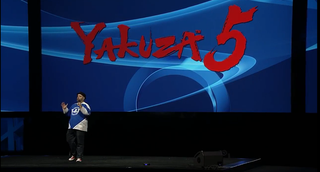 Yakuza 5, which many of us thought would never actually make it to Western shores, will come to North America for PS3 next year, Sony just announced. Here's Sega with more details on the upcoming surprise localization, which is slated for next summer.